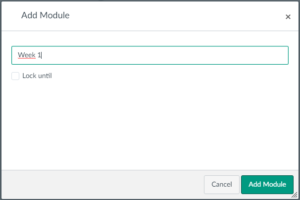 Modules is a new feature in Canvas, this guide will give a brief review of you can use and create modules in your course. 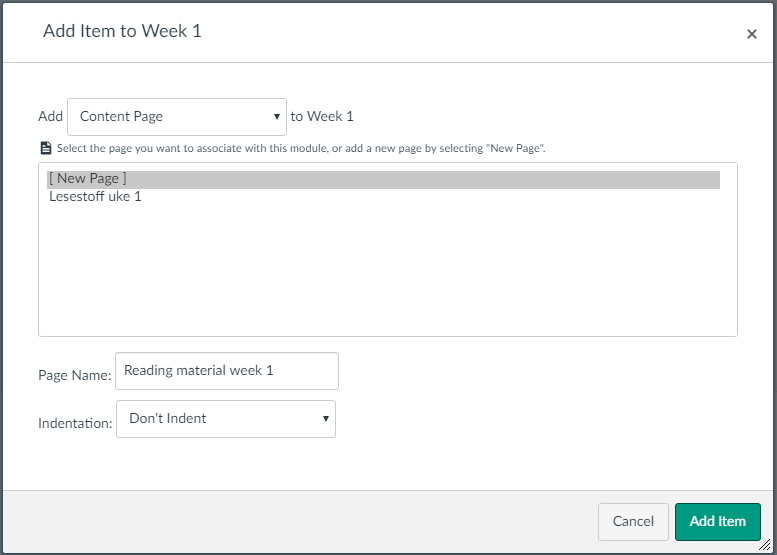 Modules can provide a better flow of the content used in the course, and a better way to organize different kind of files, assignments and tests. How should the modules be used? Modules can be organized in several different ways. For instance they can be organized per week, or per chapter/topic. 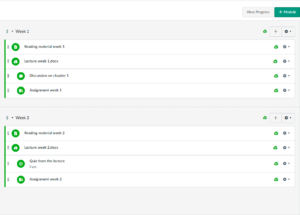 Each module can contain different kind of content such as files, discussions, assignments and tests. An example of organize weekly in a course. Be aware of that files you upload to your modules also will be available through the “Files” tab. 1. Go to “Modules” in the navigationbar within your course. Create a new module either by clicking “Create a new module” or “+ Module” at the top right corner. 2. You can now make a new of you module, you can also choose to lock the module until a certain date. The module is now created, and you can start adding content by klikking the + button on the right side. 3. In the module you can choose from several different items. 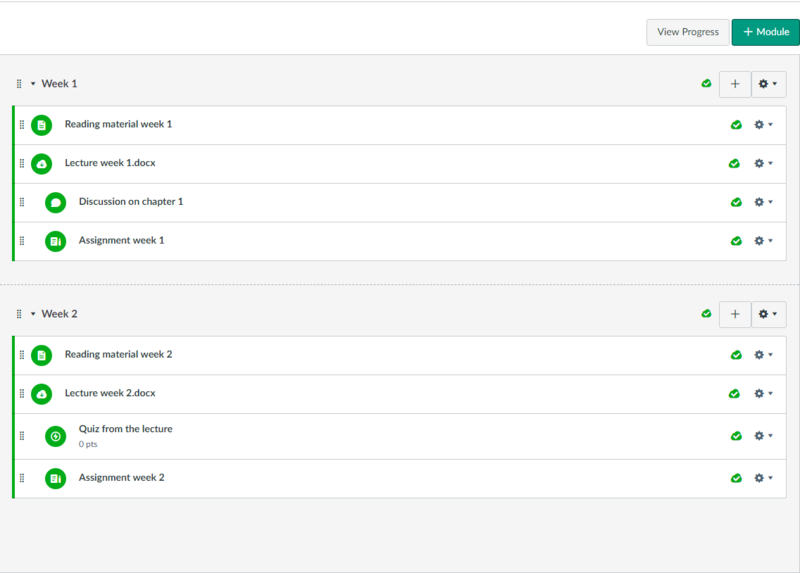 If you have uploaded files or added assignments earlier, you will be able to insert these into the module. If you have not previously created content, you can add it later in the different categories in the subject. 4. 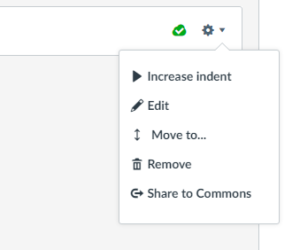 After you have added content you can click the wheel to edit, move or delete content. 5. Remember that elements also needs to be published in order for the student to see it. If an element has a grey symbol with a cross, it is not published. You can click the symbol to publish it, and it will turn green. This entry was posted in Study systems and tagged Canvas, Employee on June 5, 2017 by Frithjof Kramer Hald.